A performer stands with his back turned to the camera. He begins to speak to a shadow image of himself projected on the screen. Playing a double role; that is, a spectator and a performer – he discovers ‘the other’ within his own shadow. Besides him, he hears the voice of a female spectator – not shown in the image. This work recreates the space of cinema mediated by images, by deconstructing the structure of a spectator/performer, and a viewer/viewed in the theatrical space. The girl who spends her days with a busy schedule falls into a strange world. She experiences a variety of viewpoints, learns rules, and observes the behavior of various types of human beings. However, she is dissatisfied with everything and only wants to get away from that world. Then, will this girl dispel her anxiety that she might disappear from that world and achieve the growth of questioning ‘herself in this wonderland’? who sees the work enters into the video. 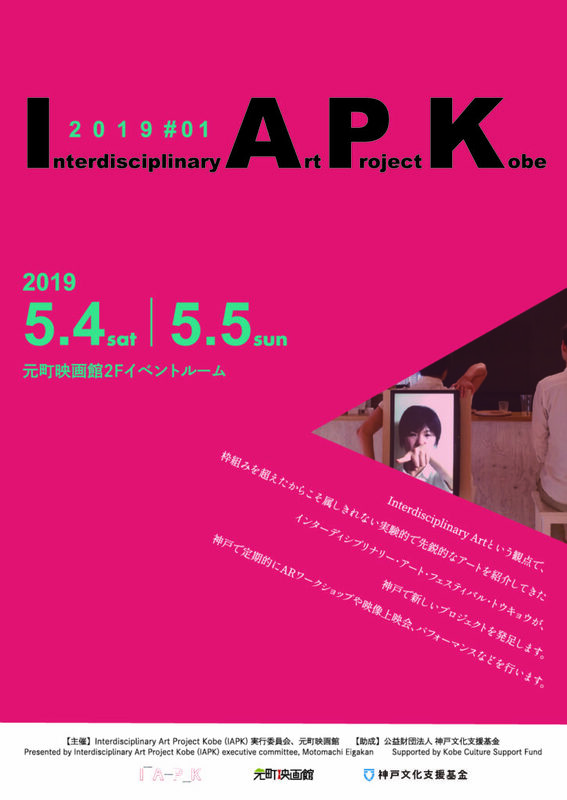 Alternative puppet theater Gekidan★Shiki was formed in 2010, organized by contemporary artist Hiroko Okada and supervised by Makoto Aida. he video shows the second part of the series, “Casebook of Gendaichi Kosuke #2: The Curse of the Turbine Hall!”, which was performed at the Mori Art Museum in Tokyo as part of contemporary artist Makoto Aida’s retrospective “Monument for Nothing”. “Wearing You：Bar Drama vol.4″ was performed as multimedia audio visual art performance in September 2015. It is edited and mixed to focus on performer’s details such as behavior, voice, body etc. and then reborn a new video art work. The work utilizing the characteristics of photography as a medium that evokes memories, and video as a medium without materiality that disappears over time. It will comprise short videos that “read” photographic works installed in the gallery. This video work presents a new means of appreciating art in which respective videos combine together to form a kind of puzzle.